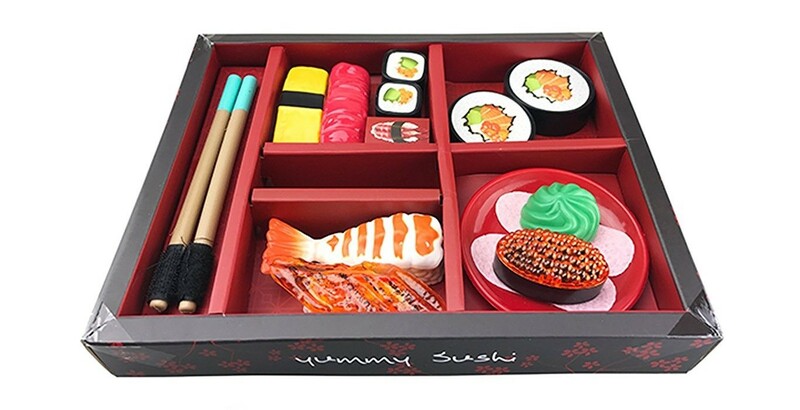 Master Box Dimension : 21" X 18" X 12"
Sushi Playset for kids! Create a sushi restaurant and serve your customers top of the line fish! Detailed fish on top of rice and seaweed! This fun, colorful sushi playset includes salmon, Shrimp, Tuna, Omelete and plenty of other rolls! Sushi can be seperated from rice.